I talked about the Kiln God in the entry on Media and Meaning. In my ceramic training, the Kiln God was mostly mentioned as an abstract concept — a metaphor for the process of letting go and accepting the outcome that is required in ceramics. You offer up your creation to the kiln god, and hope that he’s feeling generous. Many times, I’d spend hours and hours perfecting a clay vessel or sculpture, only to have it mysteriously explode, melt, crack, or wither in the fiery kiln. I’ve been thinking about this a bit more in the past few days. After all, clay is not the only medium which requires a fiery and unpredictable transformation at some point in its development. I decided to do a little exploring about the concept of the kiln god. It turns out that there is a tradition of taking this abstract concept and transforming it into something physical, literal, and then ascribing a bit of magic to it. (Right up my alley!) People build actual idols to the kiln god and place them at the opening of the kiln in hopes of appeasing the temperamental god’s appetites. 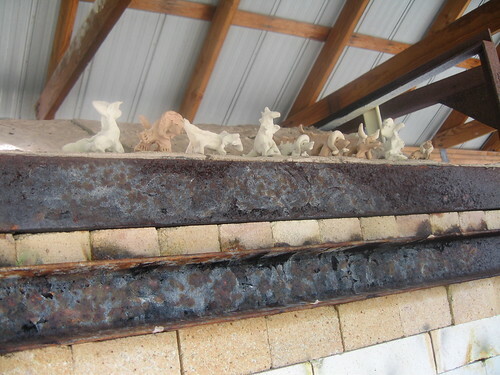 If you’ve ever felt a higher power taking over your creative process, or held your breath and hoped for the best as you molded, painted, clipped, glued, or otherwise irreversibly altered your creation, you understand why ceramic artists have adopted the practice of creating a kiln god to watch over their creations during such a phase of unpredictability. 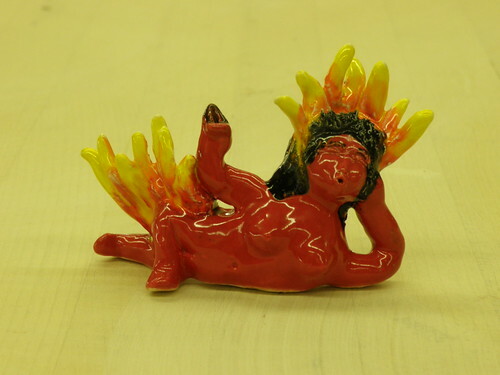 A biannual exhibition of kiln gods, with links to entries from previous years. An essay about kiln gods on potters.org, an awesome site for ceramic artists. A bit of ancient history about kiln gods. There’s more to be had, with some creative googling. Please share: how do you let go and trust when it comes to your creative process?